This sports season, California Pizza Kitchen has come up with a new pop-up menu 'The Platter Fest'. 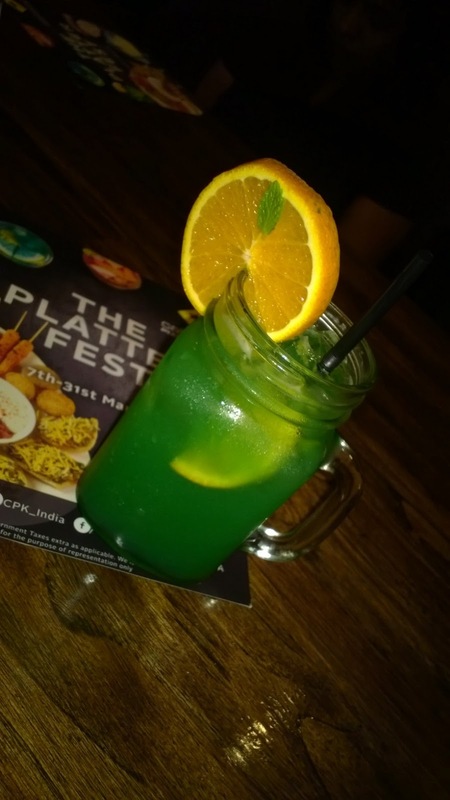 Enjoy the T-20 games with the 3 platters on offer and one can enjoy the same with delectable mocktails and cocktails. 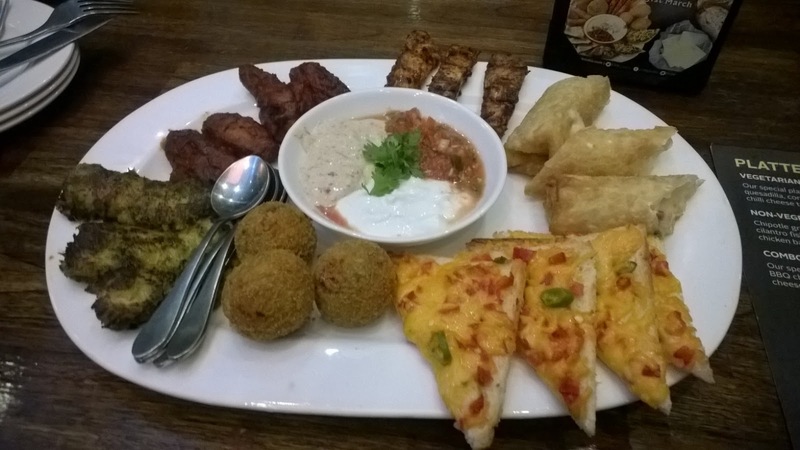 There are 3 platters on offer, A veg platter, Non-veg platter and a Combo platter. 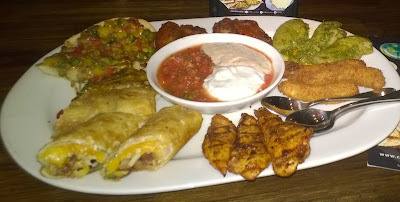 Each platter has 6 different appetizers and can be shared by 2 or 3 people. I tried the Non-veg platter which had Chipotle grill chicken, Sonora chicken roll, Cilantro Baked fish, chicken nuggets, fish finger and delicious chicken basil bruschetta. 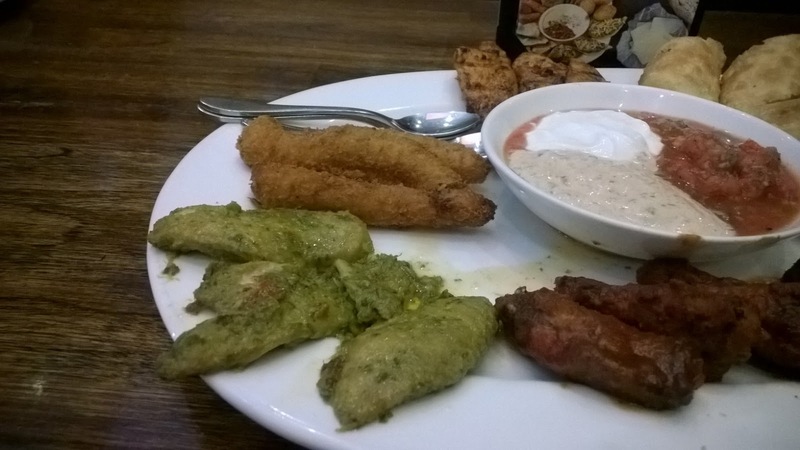 The platter is served with a bowl of sasla, sour cream and chilli cheese dip. The fish fingers were crisp and tasted well with the chilli cheese dip. Sonora chicken roll was good to taste with Salsa or chilli cheese dip. Cilantro baked fish was a salty to my taste but the taste was mellowed with sour cream. Instead of chicken nuggets, I had chicken wings on my platter which tasted delish with chilli cheese dip. Chicken Basil bruschetta and Chitpotle grill chicken became good appetizers for my mocktail. The 3 drinks from the pop-up menu had mocktail and cocktail option which can be combined with the appetizers. 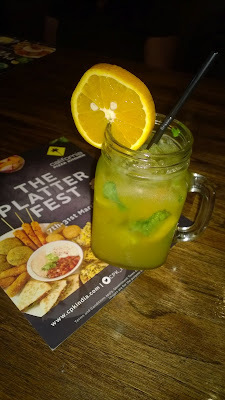 I tried the mocktails - Orange Mojito which was a refreshing drink with fresh oranges, Orange juice, lemon and mint. 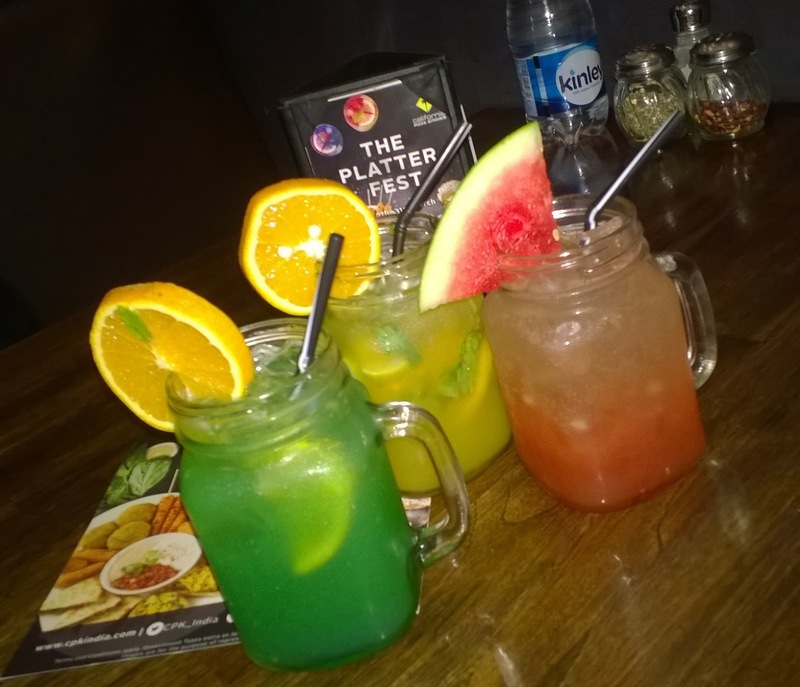 Mango Ecstasy which was my favorite and contained fresh Watermelon Chunks, Mango Puree topped with sparkling Water. 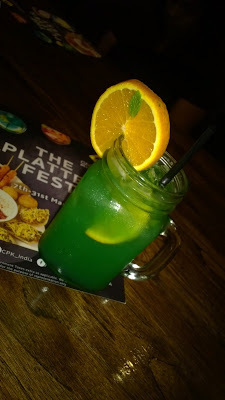 My least favorite was Electric Blue which was very sweet for my taste Fresh Malta Orange, orange juice, Ginger Ale, with a hint of Lychee topped with Blue Curacao. 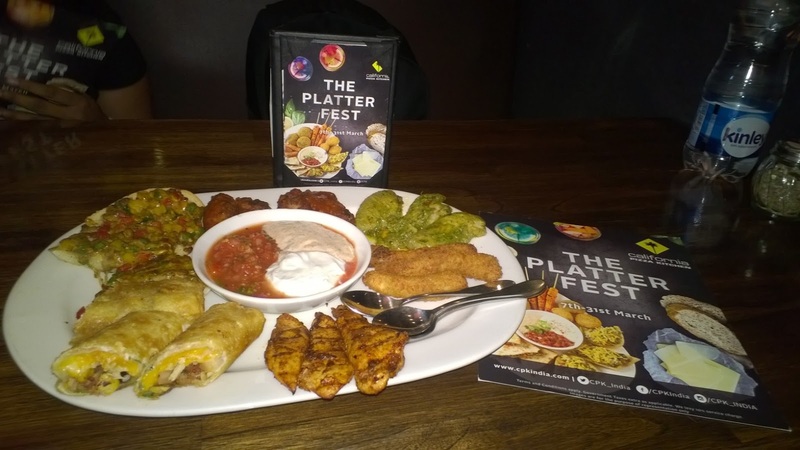 For the Combo platter, chipotle grill chicken, chicken wings, Cilantro baked fish, chili cheese toast, Margherita roll and spicy garbanzo fritters was served. The veg options on the platter was impressive, I have always been a fan of chili cheese toast and Margherita rolls and they were delectable even without a dip. Spicy garbanzo fritters were spicy but dry so this had to be had with a dip. 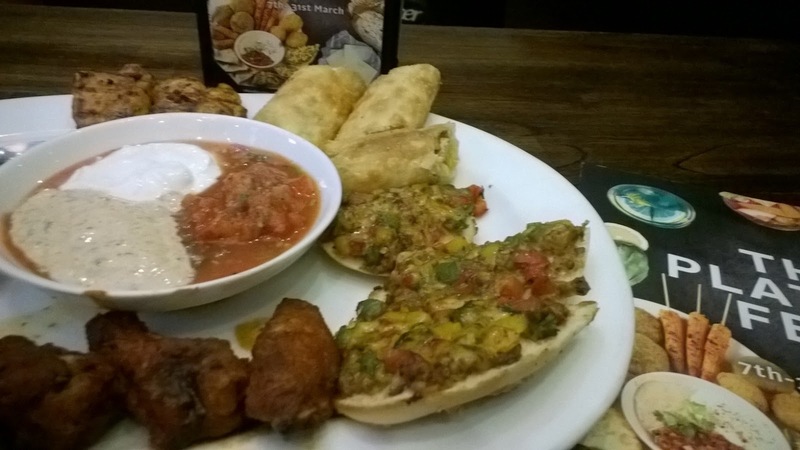 While, I did not try the Veg platter, you can try them next which served Mediterranean roll, Mexican quesadillas, Corn Baja croquettes, Spicy garbanzo fritter, Chili cheese toast and vegetable bruschetta. 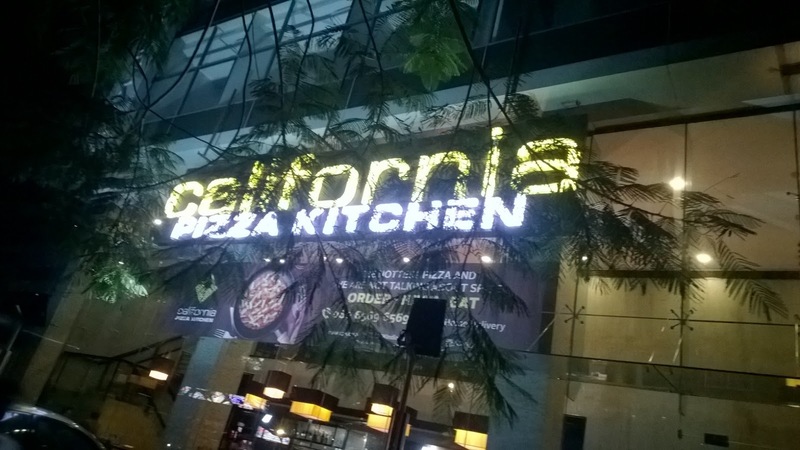 So head to CPK, as it is fondly called, and enjoy the platter before you enjoy their pizza's and pasta's for main course and not to forget their lip-smacking desserts. 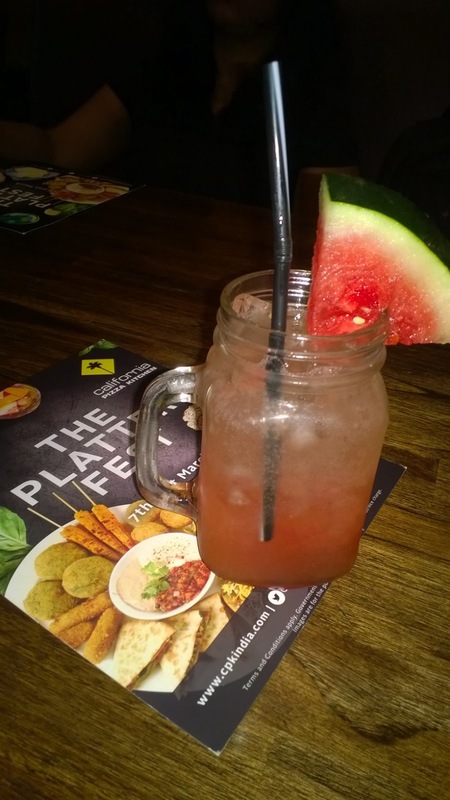 The option is limited for platter but then they have some platters on their regular menu too. 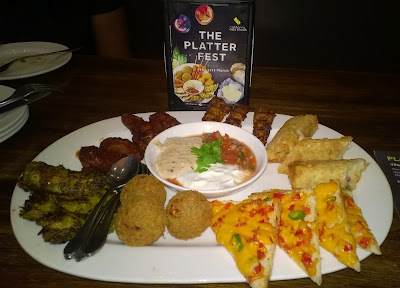 Have the platter when served hot as you would not enjoy the appetizer when it has turned cold. 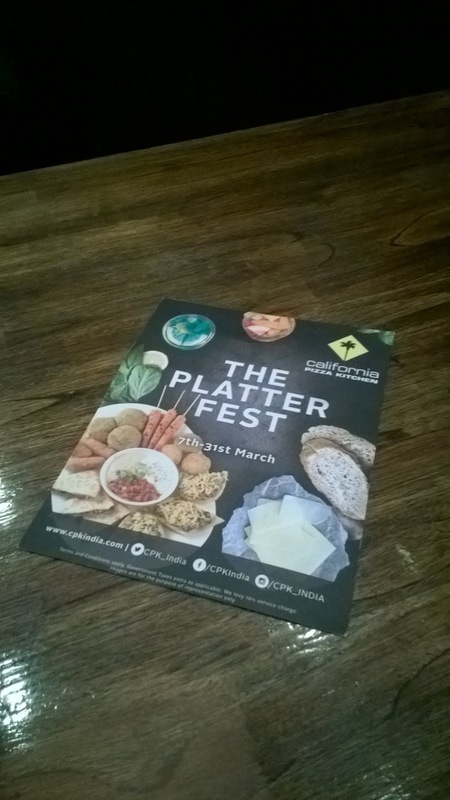 You can enjoy The Platter Fest from 7th March to 31st March 2016 at your nearest California Pizza Kitchen while you watch some amazing T-20 games.